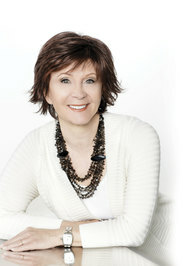 This is the second book Emerson Knight and Riley Moon series from Janet Evanovich. This book follows Emerson and Riley as they start working on a case of a missing island. Emerson has the grand idea of finding out what happened to a friend’s island that he got kicked off and Riley sort of gets roped into helping him since she is working for him. I loved the storyline of this book. The comedy in Janet Evanovich’s writing really comes through again with this book. The author does a great job creating the characters of Emerson and Riley. Emerson has a quirky personality and he really sticks with it the entire book. Riley is more of a by the book girl and this makes a great combination with Emerson. The author does a great job with keeping the story moving once the action begins. I feel like once we get on the road with the characters the story just keeps moving along at a very fast pace. The story follows through the National Parks in the US and they are very interesting to read about. I enjoyed getting to hear the descriptions from the author and also learning a little more about our National parks. I don’t believe you would need to know what happened in the first book to follow the second book. Most of the hints the author gives about the relationship between Emerson and Riley are very prevalent in this book and the other characters that are introduced all get full introductions by the author. I have two issues with the book. The beginning of the book was a little slow for me. 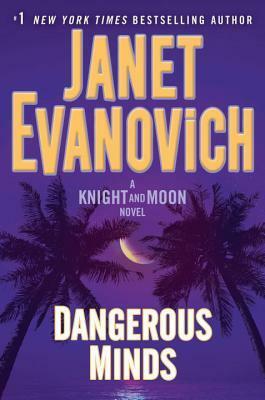 I enjoy Janet Evanovich’s writing so I did stick with reading this book, but I could see if you start reading it you might be put off. The action really picks up about half way through the book so it took a bit to get there. The second issue was the science in the book seemed a little heavy for a Janet Evanovich book I was not really expecting that from her, but it didn’t make the book any less enjoyable. I would suggest this as a nighttime read. I felt like it was the perfect mix of take your mind of the day and just enough to relax me to sleep. I've not read anything by this author, but I pass her books all the tests in the bookstore or library. It's good that the slow beginning didn't prevent you from enjoyed the book. Hopefully you enjoy more of this author's books in the future! I always find her books to be very quick and easy reads so I enjoy them. Thank you for stopping by! Have a great week! My aunt is always singing Evanovich's praises. I need to check her out, because I love funny books. Not sure if I should start with the series with all the numbers or this one though. The number ones I think are better, but towards the middle they get ehh. They are really quick reads. Yes, the slow start might be a complete turnoff. I enjoy the Stephanie Plum series better, but some of those aren't as great now. No I still need to break into Dark Matter. I finally went back to the library. I need to know read books on my shelves! Thank you for stopping by! Have a great week!